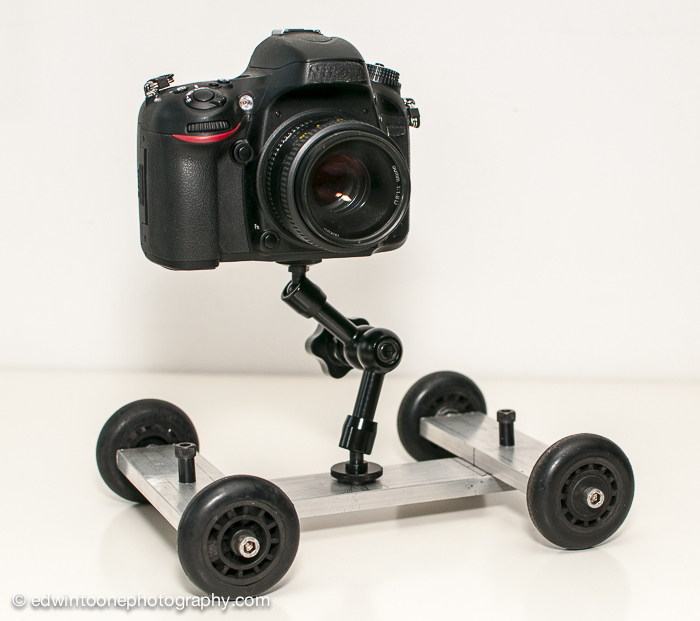 With the left over aluminum I had laying around after building my DSLR rig I decided to build this little dolly. The wheels are from a suitcase that I found in the garbage but they seem to work ok. The articulating arm I already had for the rig so it was just a matter of cutting everything to the right length and putting it all together. Other than a few quick test it has not really been used but that should all change Thursday because I am shooting a video for a local bar. Once the video is done I will make sure to post a link.